Although the full mechanism of migraines is unknown, it is thought that the widening of blood vessels during a migraine, send signals to the brain, which release substances that cause pain, nausea and other symptoms associated with migraine. ​Sumatriptan works by acting on Serotonin (5HT) receptors in the brain, causing the blood vessels to narrow, preventing these signals from being sent, so that they cannot release the substances that cause migraines. Sumatriptan has also been shown to decrease the activity of the trigeminal nerve, which is responsible for carrying pain impulses from your head to your central nervous system (a bodily structure that is responsible for registering sensations such as pain). When should I use sumatriptan? Sumatriptan should be taken at the first sign of a migraine attack. Sumatriptan will also be effective if taken at a later stage during the attack. If you experience relief with sumatriptan, but your symptoms appear again after two hours, you should take another tablet. If your symptoms have not improved after the first tablet, do not take a second one. At the first sign of a migraine, take one tablet of sumatriptan with a glass of water. It can be taken on an empty or full stomach as food does not affect the absorption of sumatriptan. If after two hours you have not experienced full relief, or the migraine has returned, you may take a second tablet in the same way the first tablet was taken. You should not take more than 300mg in one day. The usual dose for sumatriptan is 50mg or 100mg to be taken at the onset of a migraine. Sumatriptan tablets take around 30 minutes to work. Sumatriptan is available as a nasal spray (Imigran Nasal Spray), which takes 15 minutes to work. Sumatriptan has been successful in treating those that suffer from migraine for over twenty years. During a clinical trial, up to 64% of patients experienced relief within two hours of having taken sumatriptan. As with all medication, whilst many find that sumatriptan works well for them, others may find it to be less effective. How do I know if I should take sumatriptan? If you experience a throbbing pain on one side of your head, it is likely to be a migraine. It is common for this pain to travel to your face and neck. These symptoms are usually accompanied by nausea, vomiting and the inability to tolerate bright lights. If you are experiencing these symptoms, you should always visit a doctor. This is so that any other conditions can be ruled out. If you are diagnosed with migraines, your doctor can suggest suitable treatment options. What if sumatriptan isn't working for me? If sumatriptan hasn't been effective for you, there are other options such as increasing the dose, trying another form of treatment (such as the nasal spray) or exploring different treatment options (such as zolmitriptan or rizatriptan). Some studies suggest that taking an NSAID (non-steroidal anti-inflammatory) such as ibuprofen can have an enhanced effect on reducing the symptoms of migraine. Can I use sumatriptan to prevent migraines? Sumatriptan will not work to prevent migraines. They are only effective in treating the symptoms of a migraine once it has begun. Can I use sumatriptan for headaches other than migraines? Sumatriptan will only work to treat the symptoms of migraine. Sumatriptan nasal spray can be used in certain situations to treat cluster headaches, however, this is usually initiated by a specialist and you would need to make an appointment with your GP or a specialist for this. Sumatriptan should not be used to treat tension or stress headaches or any other type of headaches. What symptoms does sumatriptan treat? 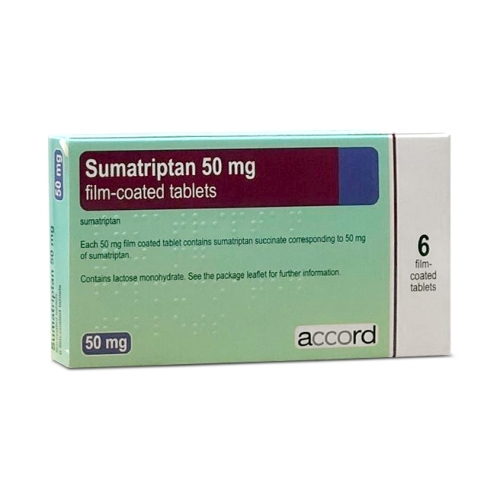 Sumatriptan helps to relieve the symptoms associated with migraines such as headache, pain, sensitivity to light and sound, nausea and vomiting. Taking sumatriptan if you fall into any of the above categories may be hazardous to your health. If you are taking any of the above medication, you should speak to your doctor about treatment options. Can I take sumatriptan if I am pregnant or breastfeeding? You should not take sumatriptan if you are pregnant. This is due to limited research and evidence. You are able to use sumatriptan if you are breastfeeding, but you will be unable to breastfeed for 12 hours after you take sumatriptan. 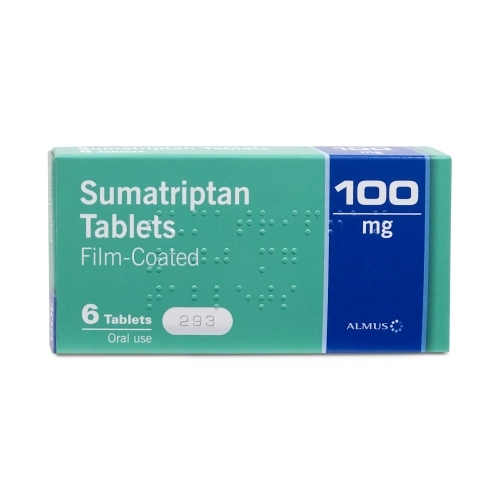 You can buy sumatriptan online from our registered pharmacy. Sumatriptan is the active ingredient also contained in the branded version, Imigran. Because this is a non-branded product, you are able to buy sumatriptan online for a cheaper price. Before our clinicians can prescribe this, you will need to fill out a short online questionnaire, which will determine your suitability for this product. Is it safe to order sumatriptan online? Chemist Click is a UK regulated pharmacy, and are registered with the GPhC (General Pharmaceutical Society) and the MHRA (Medicines Health Regulatory Authority). You should always check the credentials of the pharmacy when buying treatment online. Click here to see our credentials.